If you'd like a Creeper for your desk, you can export and print your own. Minecraft’s new Discovery Update later this spring will offer something new to explore: an in-app, paid marketplace of content that users can download for the company’s version of the game on the Xbox One and “pocket” mobile editions. The update, due later this spring, stretches Minecraft in two directions. The new Minecraft Marketplace moves the UWP version of the game a bit closer to the moddable worlds familiar to classic players. Another new ability, exporting scenes to Windows 10’s Paint3D app, moves users toward Windows 10. Initially, Microsoft plans to partner with nine content creators in the first iteration of the Minecraft Marketplace, though a partner program will encourage more to sign up. The Store will provide both “skins” of existing content, as well as new Adventure Maps, where content creators can provide their own custom worlds and rules to lay out a guided story for players to play through. The Store will be micro-transaction based, paying content creators more than 35 cents for every dollar players spend on their content. Other additions to the version 1.1 Discovery Update, due later this spring, are a little less dramatic. Users will be able to tweak how enemies or “mobs” move in Add-Ons, user-configurable adjustments to the game’s behavior. On March 29, Microsoft also announced the new gameplay elements, including concrete and terra-cotta blocks, dyeable beds, shulker boxes, the addition of a Cartographer villager with maps, as well as evil illagers (not a typo, but a nasty sort of villager), and even llamas. 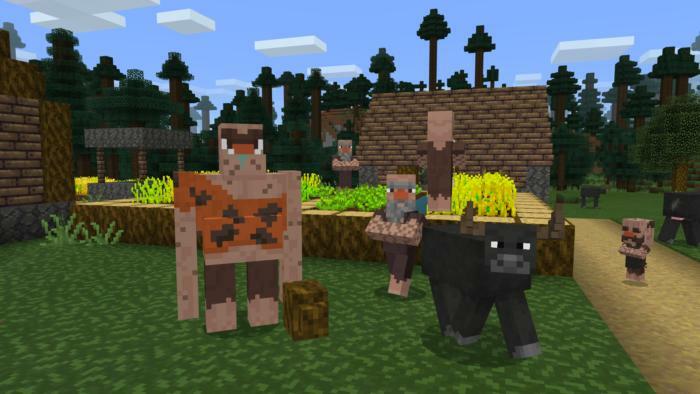 A Stone Age reskin for Minecraft from PolyMaps. Why this matters: What Microsoft now calls its “Bedrock” platforms—which include Windows 10’s native UWP app, as well as the Pocket editions for Android. iOS, Windows phones, GearVR, and others—have always faced the fundamental problem of UWP apps: They provide a consistent experience, but without the “anything goes” mod experience that defines the classic Java-based Windows app. 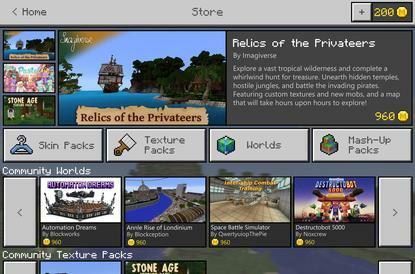 Microsoft’s new Minecraft Store attempts to bridge that gap. If you’ve bought anything from Microsoft before, you probably won’t be surprised by what Microsoft is using to encourage consistency across the various Minecraft platforms: Xbox Live. If you sign up for or use your Xbox Live account, you’ll be able to keep using content purchased on one platform if you end up playing on another device. 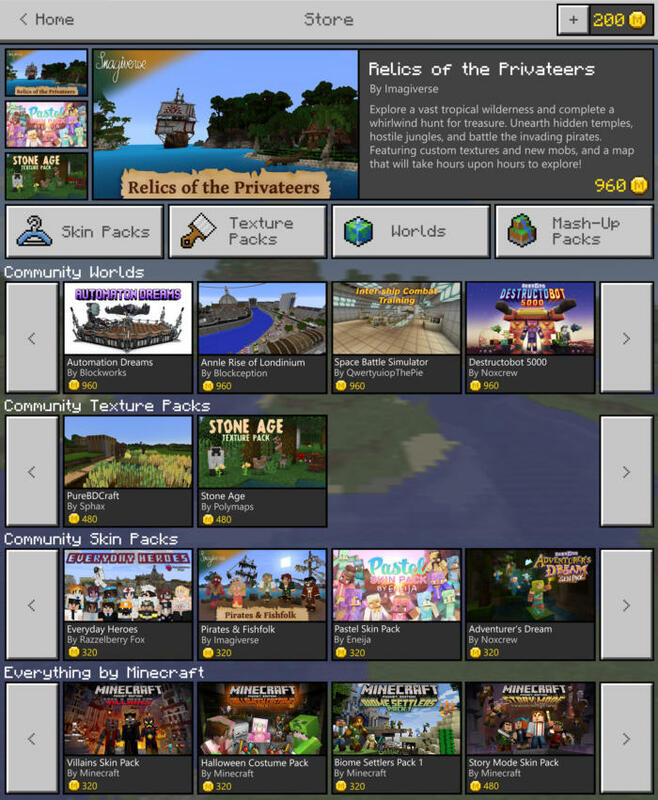 A look at the full page of the Minecraft Marketplace. What’s a bit different, though, is how you’ll pay for it all. Microsoft’s Store app and the Xbox Store use real dollars to buy games. In Minecraft, Microsoft is asking you to use Minecraft Coins, which can only be purchased in-app, and using real money. You’ll pay $1.99 for 300 coins, $4.99 for 840 coins, and $9.99 for 1,720 coins. Content creators can set the prices however high they want, but Microsoft executives said that they imagine self-contained Adventure Maps selling for between $3.99 to $5.99. While we've yet to play any of the maps, some of them look simply incredible. 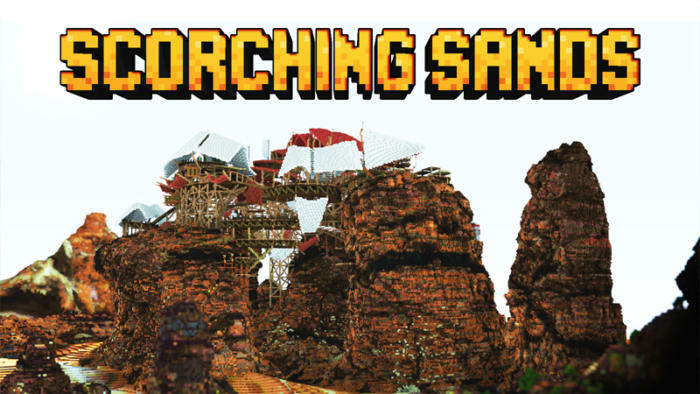 Blockworks, which has 64 employees all working on massive Minecraft worlds, showed off one, called Scorching Sands, which challenged players to collect legendary weapons and defeat four boss monsters in a post-apocalyptic world. Another Blockworks map, known as Automaton Dreams, tasked players with collecting and crafting items before descending into the underworld to defeat a giant robot the size of a skyscraper. Other mods included pastel skin packs as well as as reskins to make Minecraft appear as if it were in the Stone Age. Partners include Sphax, Blockception, Noxcrew, and Polymaps, among others. Some of Minecraft’s Adventure Maps feature enormously complex structures. Because Apple and Google take 30 percent of all revenues from the Apple Store and the Play Store, respectively, that leaves 70 cents per dollar to be divided between Microsoft and content creators. Of that, the majority will go to the content creator, Microsoft said. Not all content will be paid—in fact, Microsoft said they expect a decent amount of free content, whether to lure users or give them a range of choices. But for creators, it’s a chance to make a career out of it. 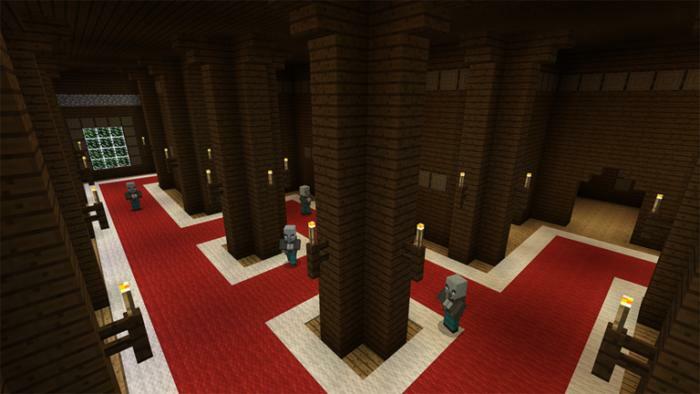 Minecraft’s forest mansion will house evil “illagers” you can slay and loot. One of the smaller features that Microsoft showed off during its Creators Update launch last fall was the ability to export Minecraft objects to its new content creation app, Paint 3D. Though that functionality has since been duplicated by services like Printcraft, the ability to export 3D objects in Minecraft is just plain cool. What you won’t be able to do, though, is export a specific object. Players will be able to define a Minecraft space—though you could place an object on a featureless plain in Minecraft’s Creative Mode—and then export that space to Paint 3D to either “remix” or print. What we haven’t seen, though, is Minecraft integrated with the HoloLens, as Microsoft has shown on various occasions. Microsoft doesn’t actually list HoloLens among the supported platforms for Minecraft: Pocket Edition., but says that that a HoloLens version of Minecraft is still in the works. "Minecraft is still very much a part of the Microsoft HoloLens journey," a Microsoft representative said. "At E3 2015, we showed some of what we are working on with Minecraft on HoloLens, but the game itself will be available on HoloLens closer to when the device is available to consumers."